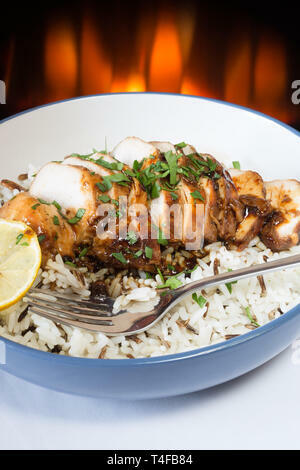 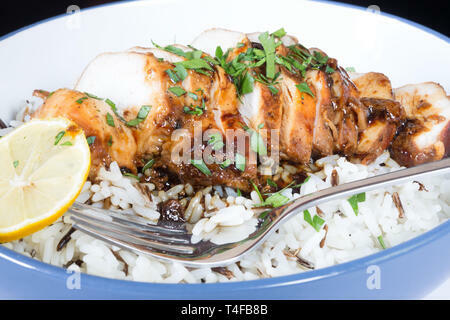 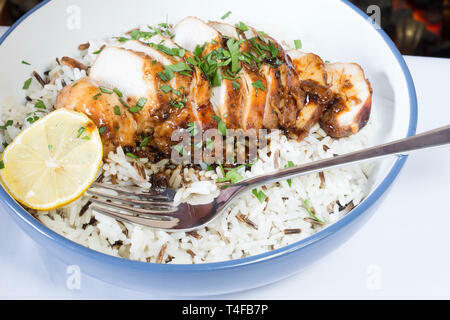 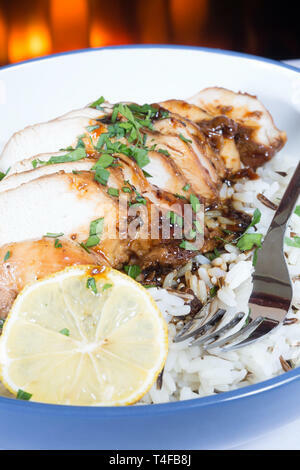 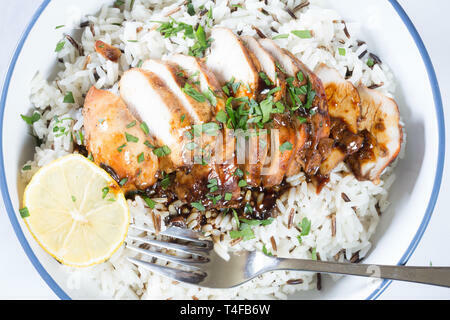 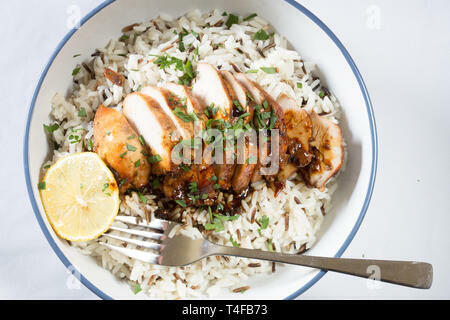 Sticky BBQ Chicken served with wild rice. 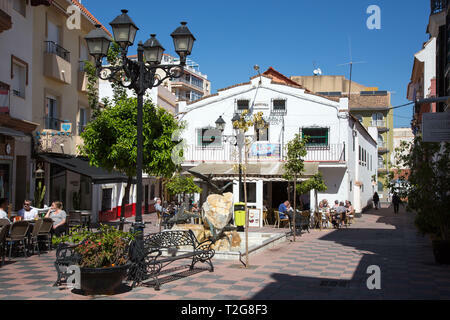 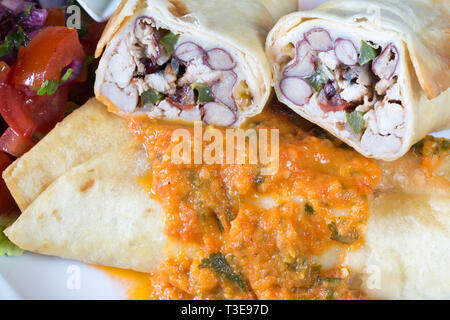 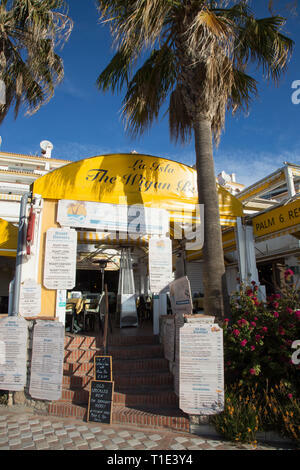 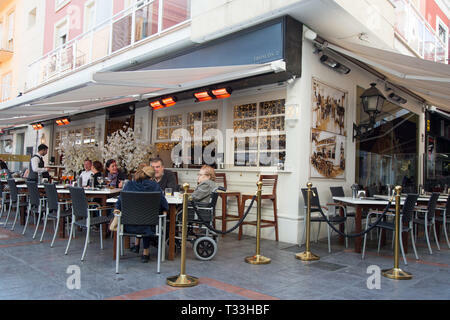 Popular Spanish Tapas bar/cafe, Taberna Las Meijas, in the Plaza Braille, Fuengirola, Costa del Sol, Spain. 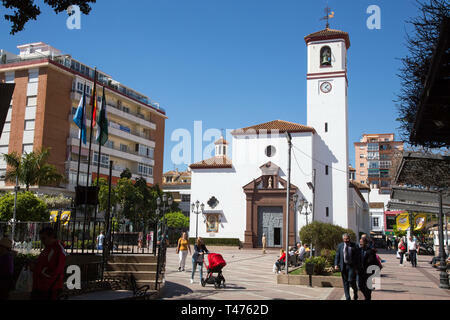 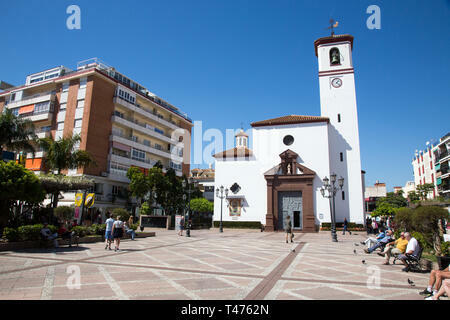 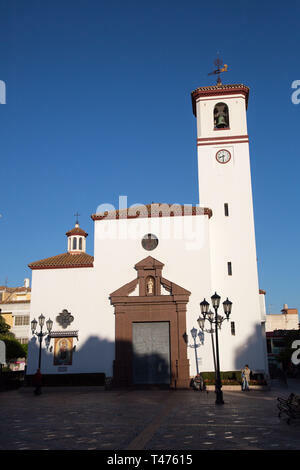 Virgen del Rosario church in Plaza de la Constitucion, Fuengirola, Costa del sol, Spain. 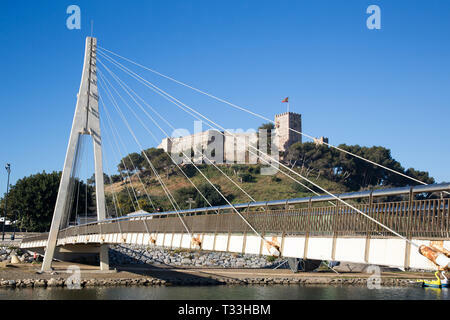 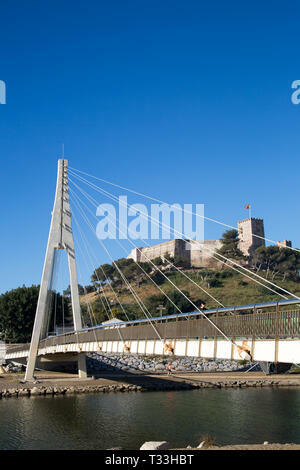 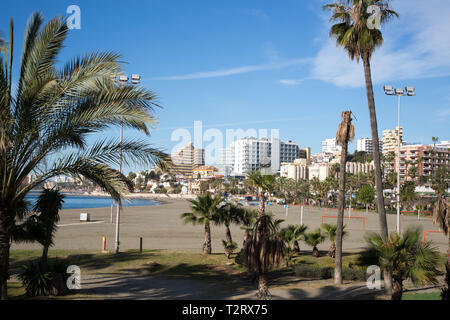 The public beach and promenade, Fuengirola, Costa del Sol, Spain. 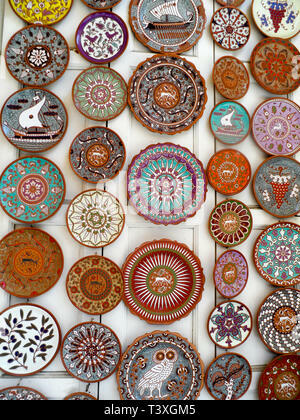 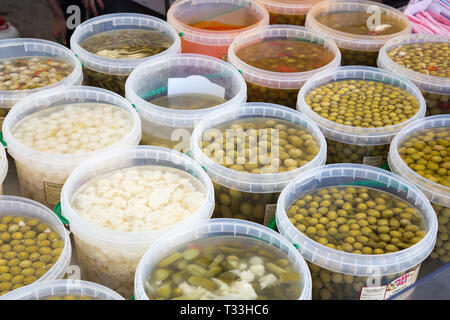 A selection of handmade and decorated plates on a market stall in Rhodes old town, Rhodes, Greece. 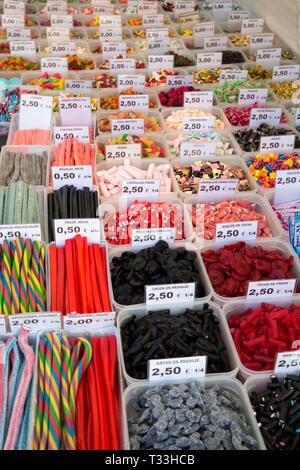 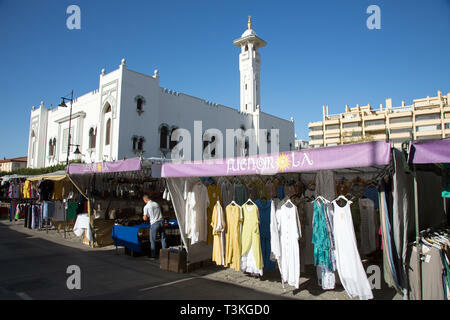 The Sunday market in the shadows of the Islamic mosque, Fuengirola, Costa del Sol, Spain. 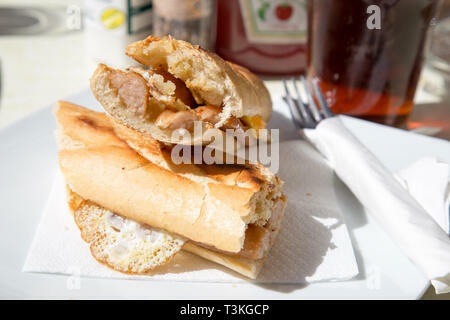 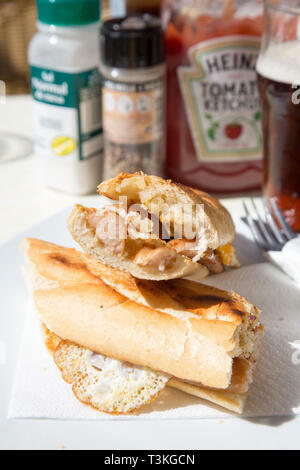 Breakfast snack of fried egg and sausage baguette served in a Tapas bar/cafe in Fuengirola, Spain. 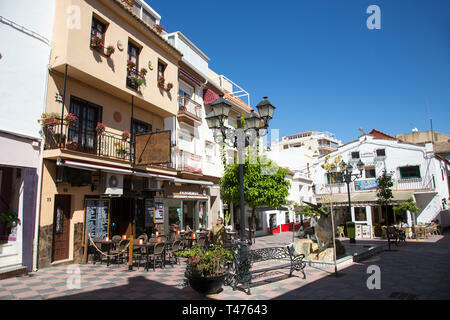 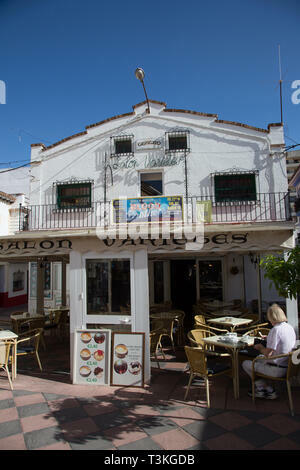 The Salon varieties theater and cafe, Fuengirola, Andalucia, Spain. 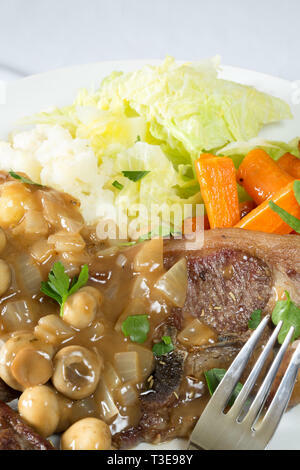 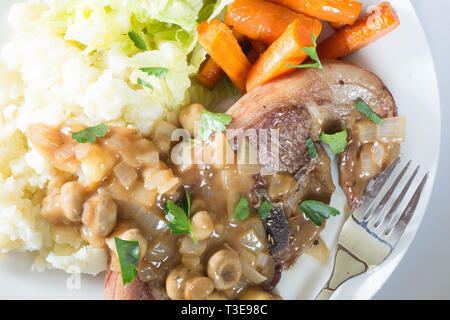 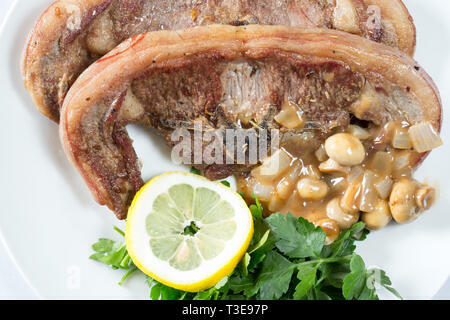 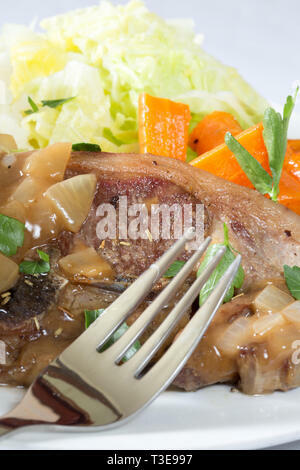 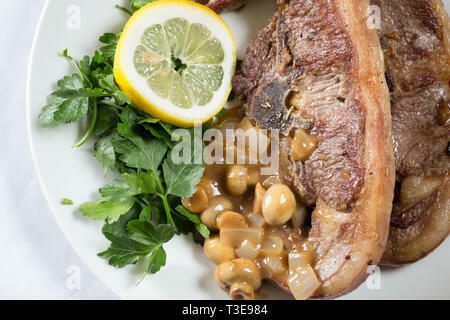 An English meal of Barnsley chop and Mushroom reduction served with Creamed Potato, glazed Carrot and Savoy cabbage. 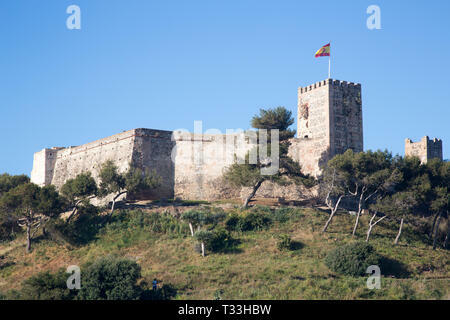 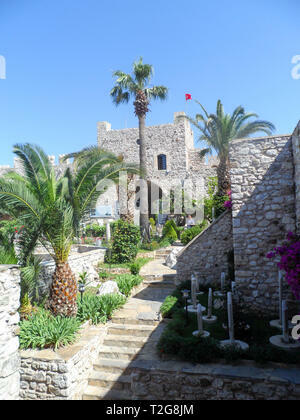 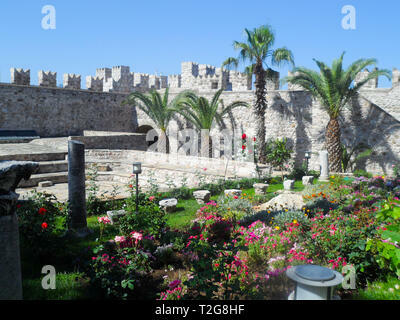 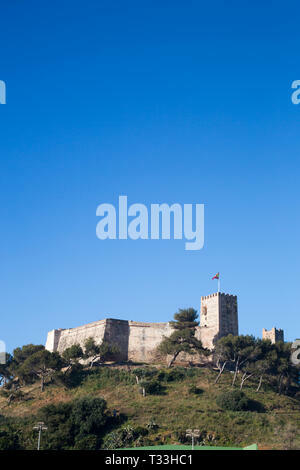 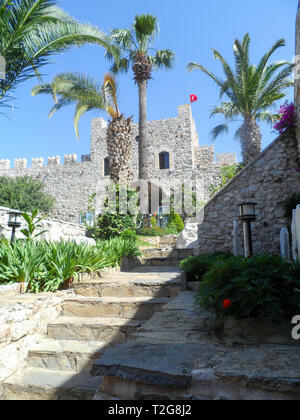 Sohail Castle, Fuengirola, Costa del Sol, Spain. 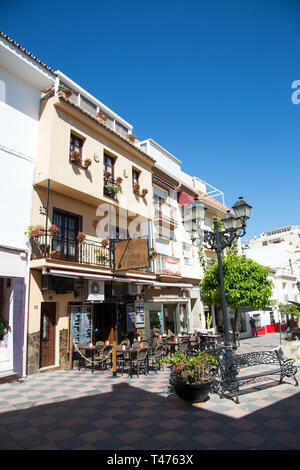 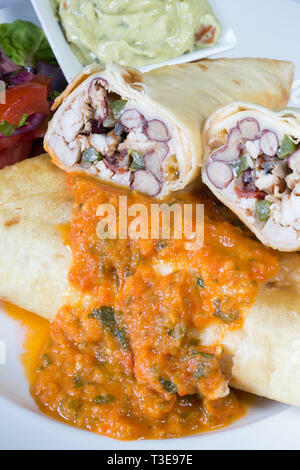 Casa Colon Spanish tapas bar and gastropub, Fuengirola, Spain. 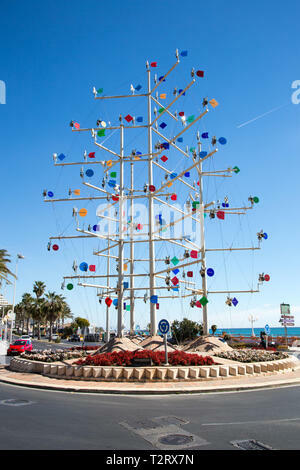 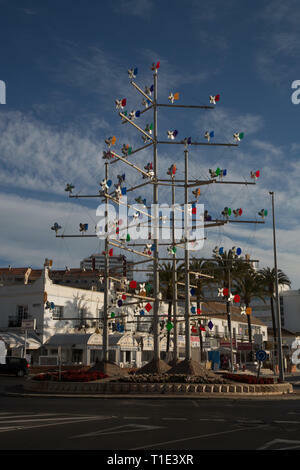 Windmill sculpture on a traffic island on the seafront, Benalmadena, Costa del Sol, Spain. 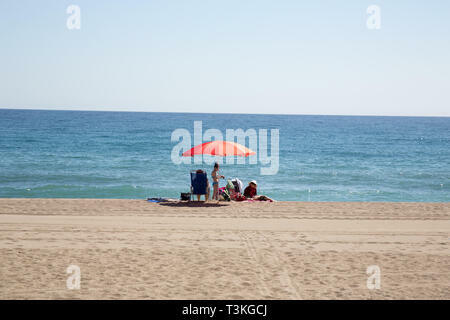 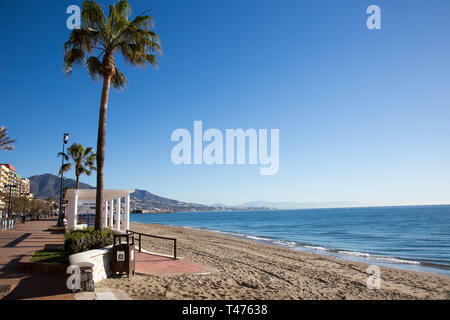 View of the public beach at Benalmadena, Andalucia, Spain. 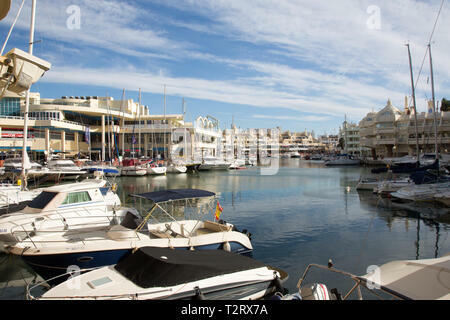 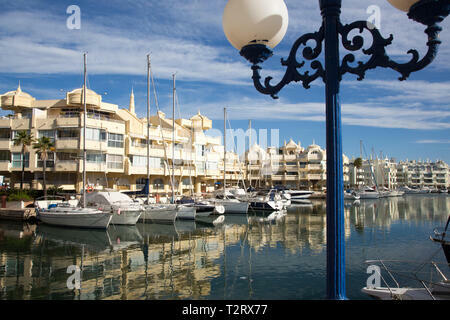 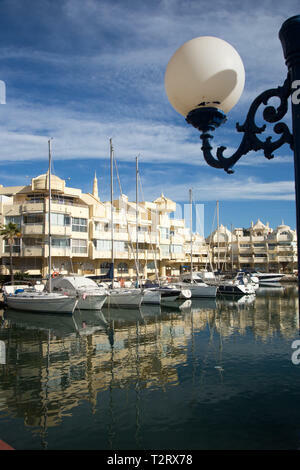 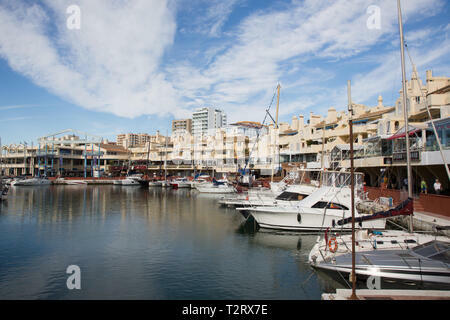 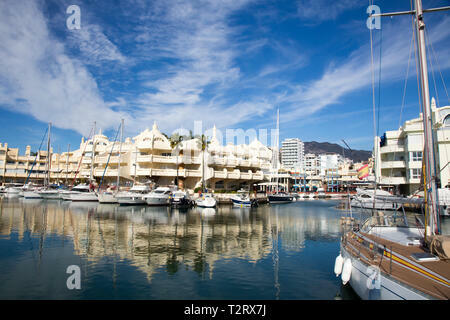 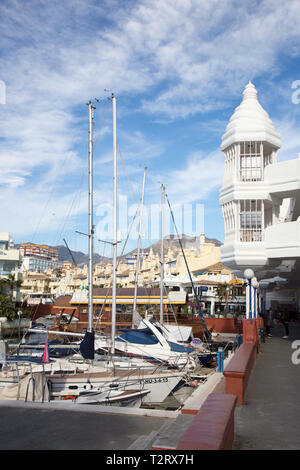 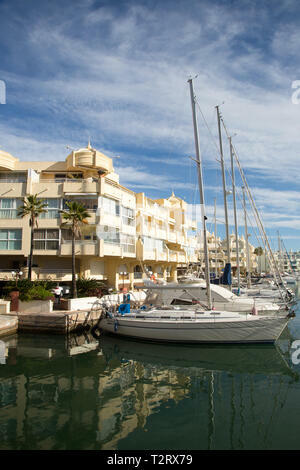 Benalmadena marina, Costa del Sol, Spain. 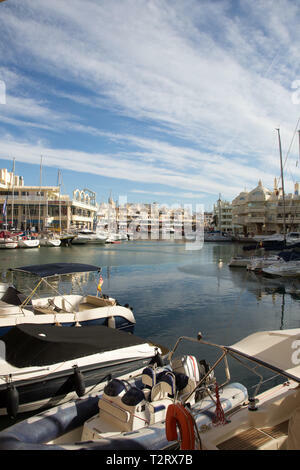 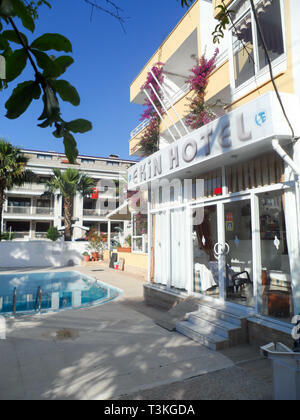 Advertised to be one of the best marinas in the world. 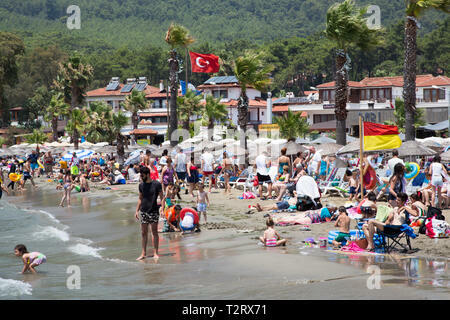 Tourists and locals enjoying the sun on the public beach, Akyaka, Mugla province, Turkey. 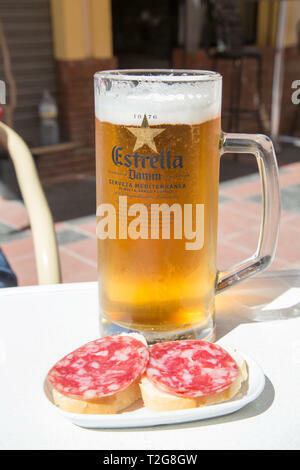 A cold fresh pint of Estrella Damm pilsner beer served in a tapas bar in Fuengirola, Costa del Sol, Spain. 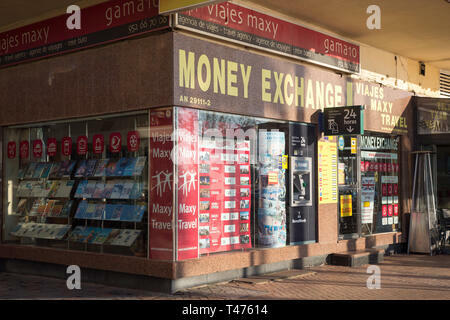 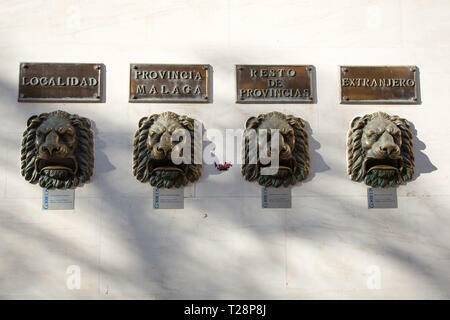 Regional letter boxes in the design of Lions heads on the outside wall of Fuengirola post office. 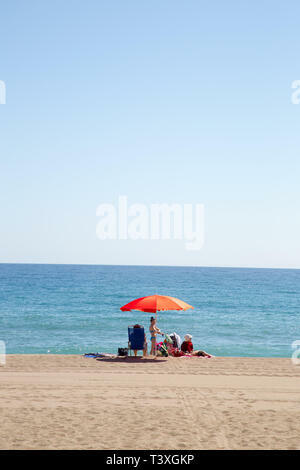 Sun loungers and wicker sunshades on the beach at Benalmadena, Spain. 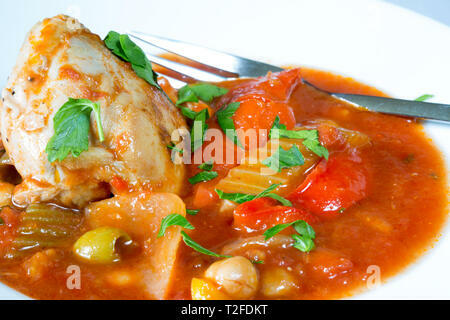 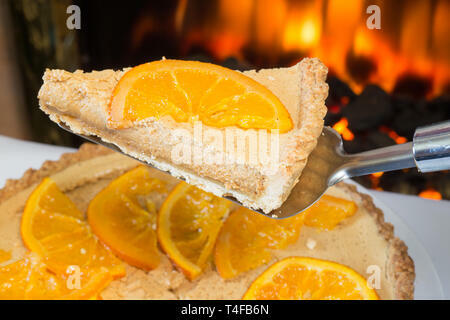 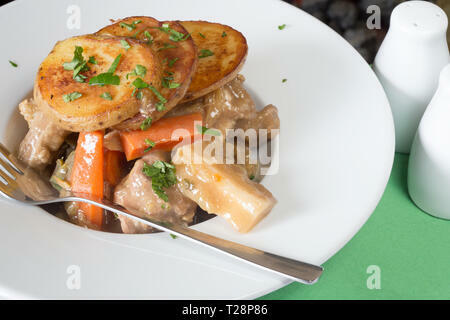 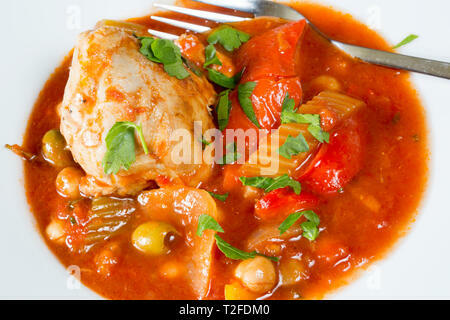 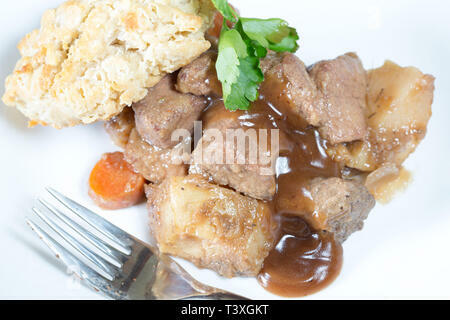 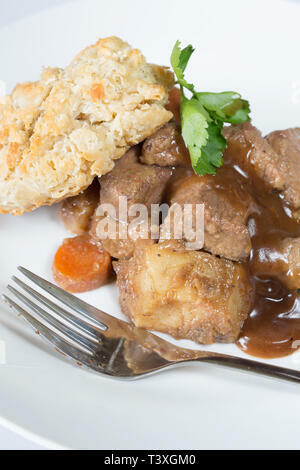 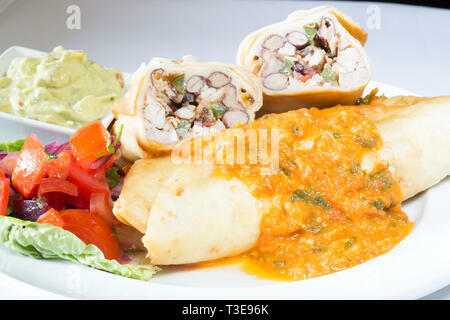 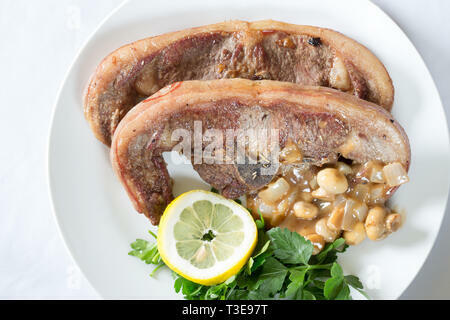 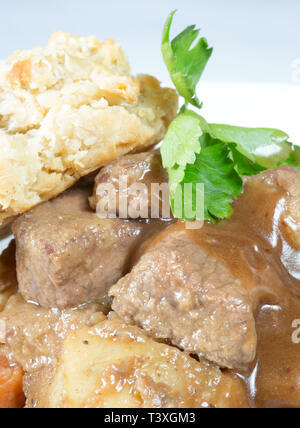 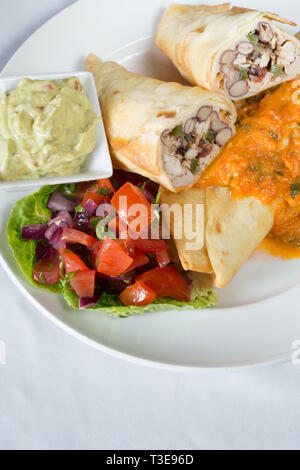 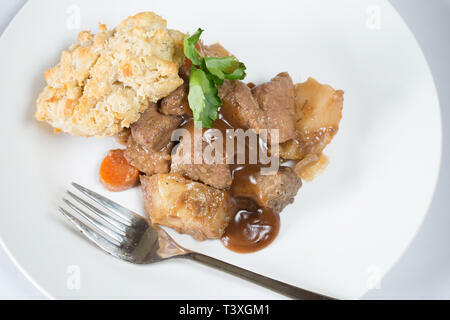 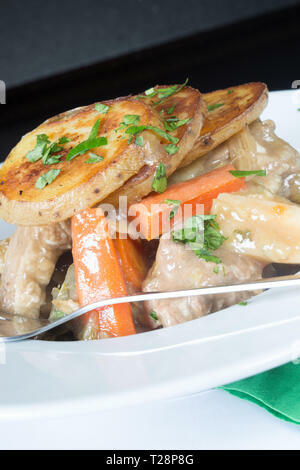 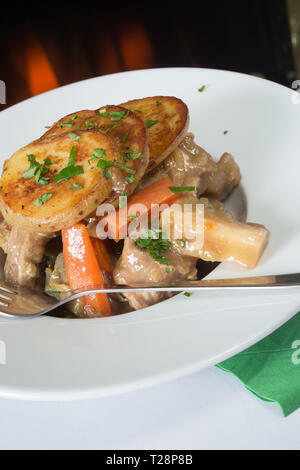 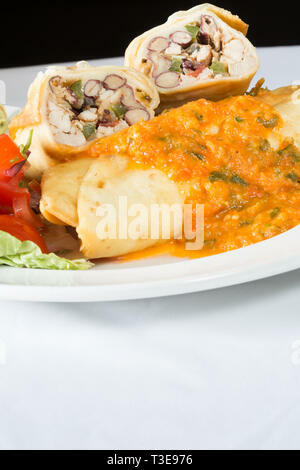 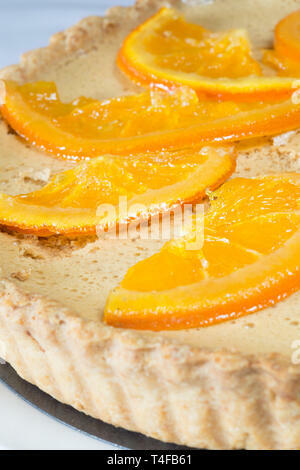 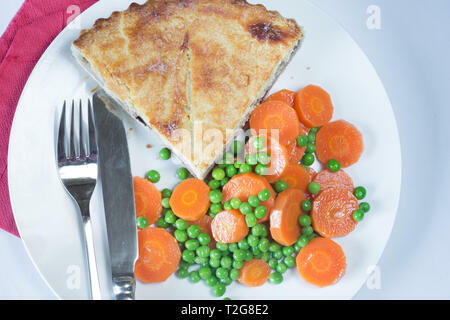 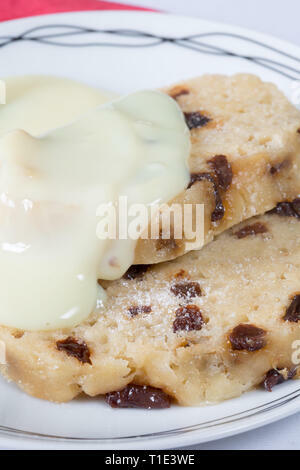 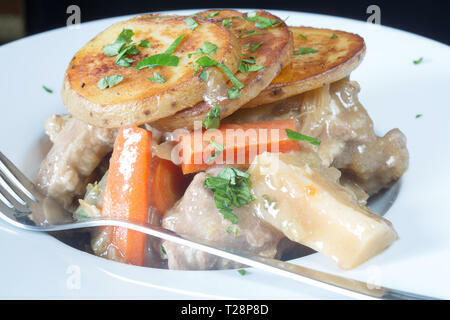 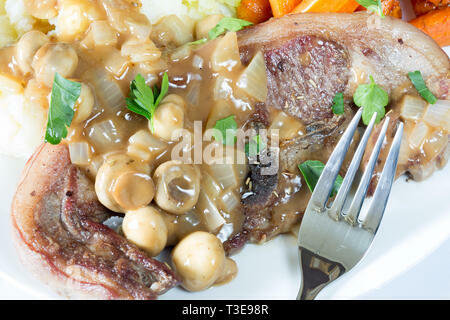 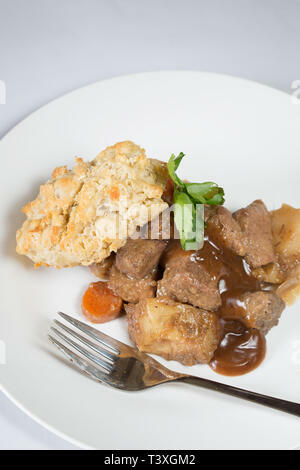 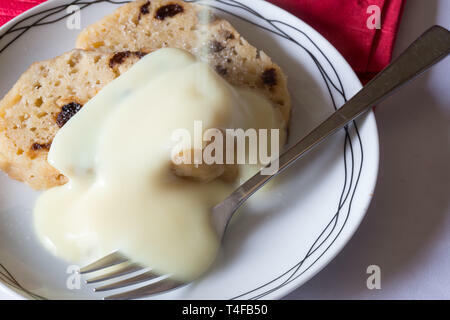 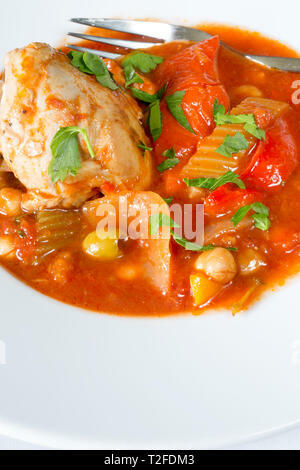 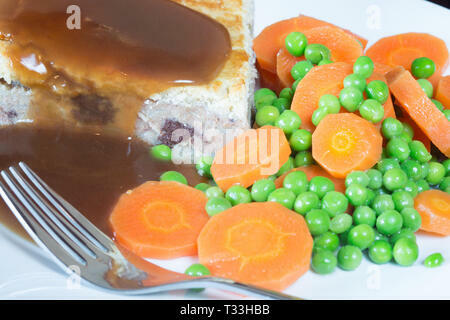 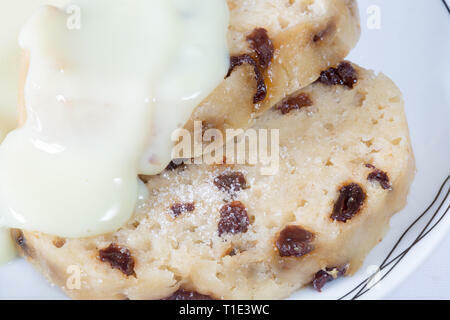 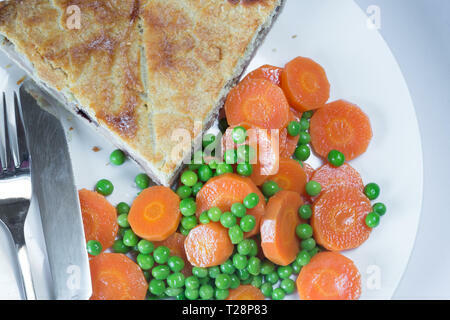 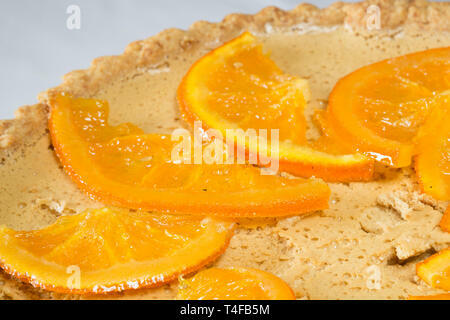 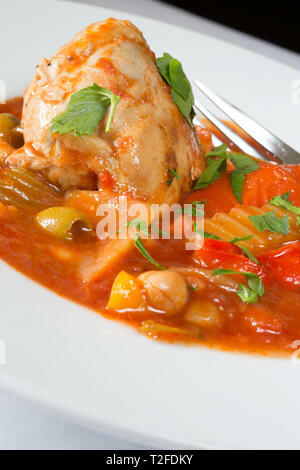 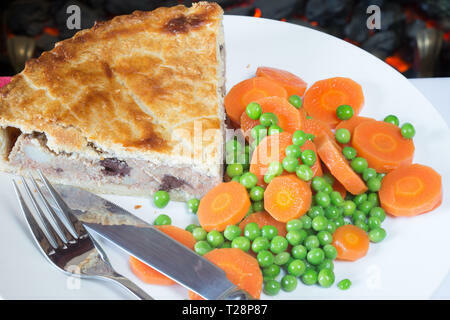 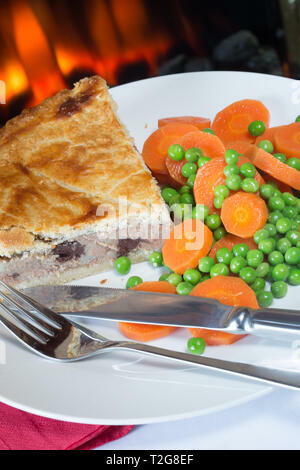 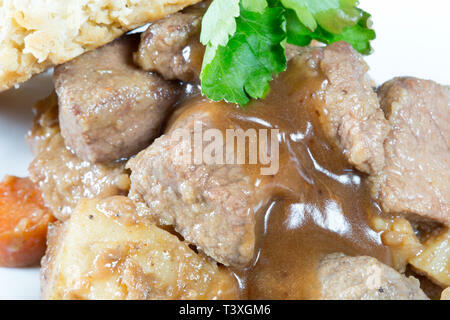 A classic English pub/restaurant dish of Lancashire hotpot. 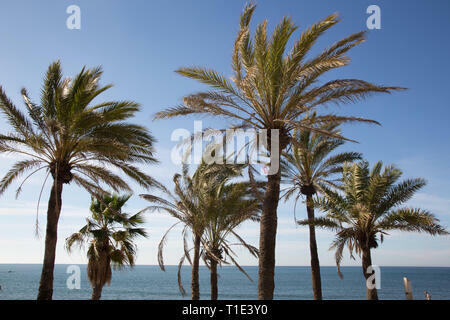 Palm tree tops on the beach at Benalmadena, Costa del sol, Spain. 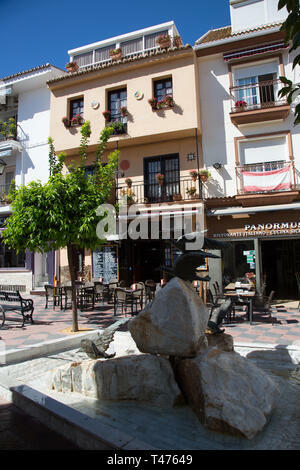 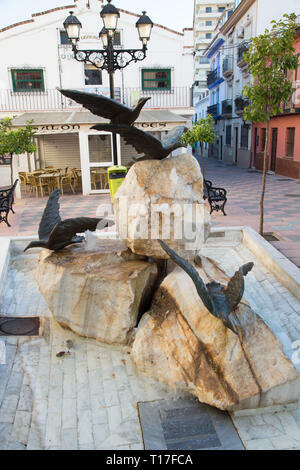 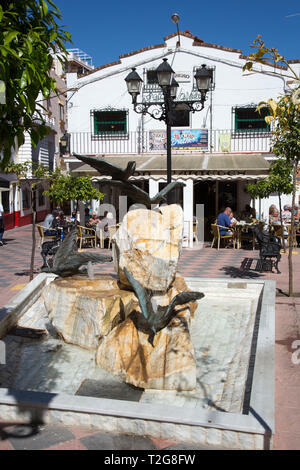 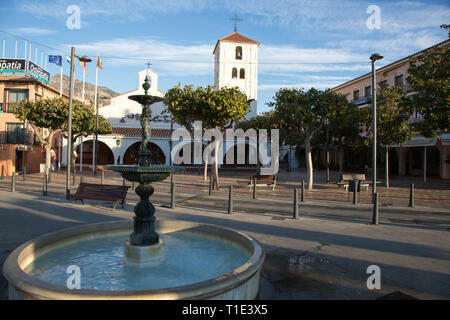 Small rock and Seagull fountain in the Plaza braille, Fuengirola, Costa del Sol, Spain.